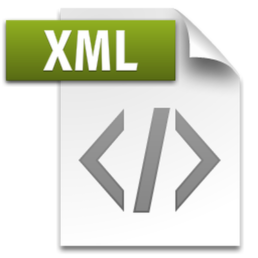 These files are available for noncommercial testing purposes. Onsight images are copyrighted and must not be used commercially in full or in part, without prior permission in writing. Thanks. This new and improved 11×14″ evaluation image focuses on the deep saturated shadows that are the most difficult to reproduce. In addition to several hard-to-print colors and transitions, there is a black and white image, a resolution test and small reversed type that visualizes subtle ink bleeding. Print this image to evaluate how well a device is calibrated and profiled. Uncompressed TIF available upon request. All photos © Scott Martin. 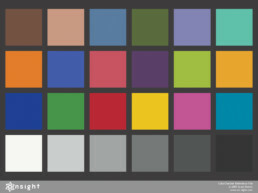 This colorful 8×10″ image contains different skin tones, a range of tonality and strong primary colors. Uncompressed TIF available upon request. We did not create this image – it was given to us and thought it was worth sharing as an additional evaluation image. No copyright or ownership is implied. I created this “Expanded” version of the P2P51H target with bottom weighted RGB and CMY ramps expressly for the purpose of precisely analyzing and setting ink restrictions. It can also be used for linearization purposes. i1Pro and iSis versions and support files for i1Profiler and Curve4 are all included. Many thanks to Don Hutcheson and Steve Upton for their encouragement and support. The latest inkjet RGB visual profiling target for our private remote profiling service. This version includes a Litmus Test to help diagnose if it has been printed incorrectly. This 8×10 target performs surprisingly well for its size as it was c0-developed with XRite’s i1Prism team. Remote profiling is available to existing customers that have received onsite training. Please email me for remote profiling instructions and let me know what printers you wish to have profiled. ZIP file. Please note: the image to the left is simply a low res thumbnail. To download the real profiling target, please click the red link above. An alternate RGB visual profiling target for our private remote profiling service. Remote profiling is available to existing customers that have received onsite training. Please email me for remote profiling instructions and let me know what printers you wish to have profiled. 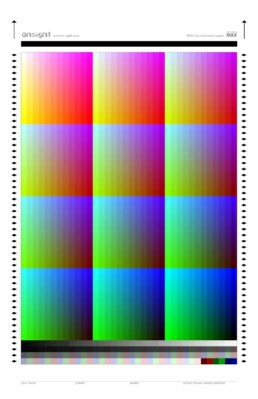 The ultimate silver halide RGB profiling target for our remote profiling service. This version includes a Litmus Test to help diagnose if it has been printed incorrectly. Remote profiling is available to existing customers that have received onsite training. Please email me for remote profiling instructions and let me know what silver halide machines you wish to have profiled. The latest target for profiling alternative printing processes (platinum/palladium, cyanotypes, carbon, etc). This layered Photoshop file has both 21 and 51 step targets for the i1Pro and 51 step targets for the iSis and DTP70 that can be enabled. Remote profiling is available to workshop students and existing customers that have received onsite training. These i1Profiler workflow files allow i1Pro (1and2) and iSis owners to measure the QTR 21 and 51 step grayscale target for alt-process profiling within i1Profiler v1.3 and newer. They must be manually installed in the i1Profiler’s MeasureReferenceWorkflows folder. See our article on using i1Profiler to measure QTR grayscale targets for installation and usage instructions. A simple, textured neutral gray desktop pattern that is a little more interesting than flat gray. 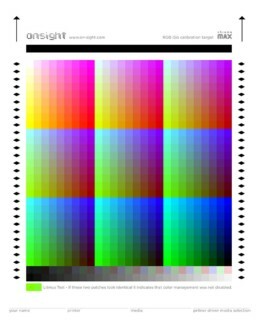 This color PSD file can be viewed or printed to evaluate how well or poorly a device is calibrated and/or profiled. 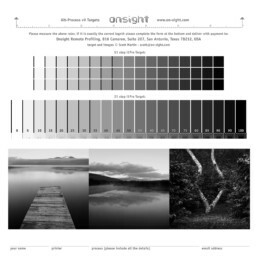 It contains linear gray scales, additive and subtractive color scales, a grainger rainbow, skin tones, high key and low key images for evaluating highlight and shadow detail. It contains a text layer so that the printer, paper and intent can labeled with each print. Choose “update” if necessary when opening this file. Photo credits Aperion, Fuji and Scott Martin. Circa 2005. 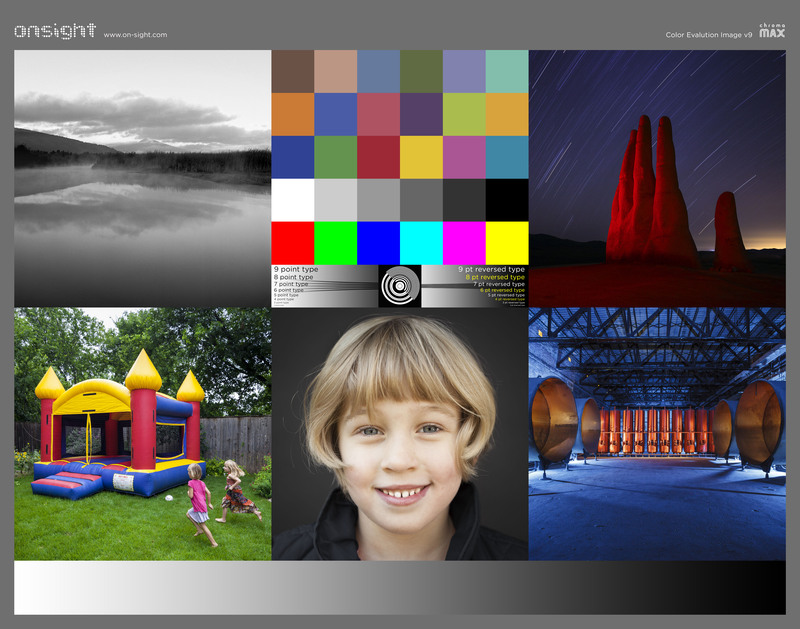 A 10×24″ version of my color and B&W evaluation images. The newer images on the left allow us to better analyze shadow color and details. Photo credits Dan Winters, Will Langmore, Marks Moore, Fuji and Scott Martin. Circa 2016. 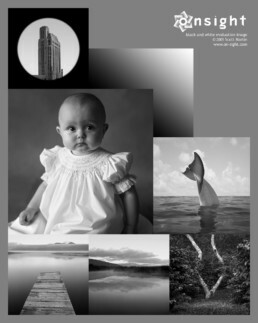 This black and white PSD file can be printed to evaluate any black and white printing process. It contains a linear grayscales, and several images for evaluating skin tones, highlight and shadow detail. It contains a text layer so that the printer, paper and settings can labeled with each print. Choose “update” if necessary when opening this file. Photo credits Dan Winters, Will Langmore and Scott Martin. Circa 2005. 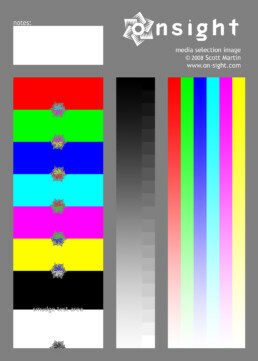 For those without measurement devices, this 5×7 color image can be used to determine a media’s optimal media selection prior to the profiling process. 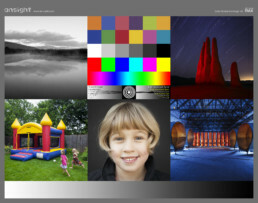 See my article on how to determine the optional media selection for your printer. Circa 2008. These ColorPort reference files allow i1Pro and iSis owners to measure the QTR 21 and 51 step grayscale target for alt-process profiling. I created these files so that we can use XRite’s free ColorPort Utility instead of the now discontinued MeasureTool software. They must be manually installed in the ColorPort Resources>refs>cmyk folder. See the article on using ColorPort to measure QTR grayscale targets. 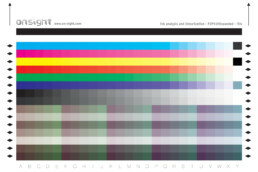 This ColorChecker reference file represents the ‘true colors’ found on the XRite ColorChecker. 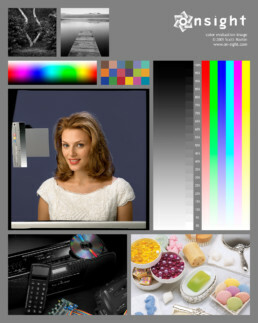 It is meant to be helpful for evaluating digital cameras and for color correcting images shot with a ColorChecker. This version contains additional layers with printed numbers for each patch in ProPhotoRGB, AdobeRGB and sRGB. Circa 2005.